Meditating – Was It Thoughtless Awareness or Something Else? What’s the strangest thing that’s happened to you whilst meditating? I’ve been consistently practising meditation daily, in the morning for around 10-15 minutes via the Headspace app, as part of my morning routine (which I’ve written a post on here). I sit crossed legged on my yoga matt, in the sun room while the sun crests the trees I overlook. I sit and surrounding me is my journal, pens, first coffee of the day and a fluffy blanket I like to wrap around myself – since it’s been so cold here lately. My dog, Bowser (The B) loves this time of day since I’m on his level and he is forever snuffling around; disturbing the peace. It’s been over a month since this strange thing happened, and luckily, I did have my journal with me because I was in such a surreal state of mind that I wrote down exactly what was happening and what I was feeling once I came back into myself. I’ve been contemplating this post for a while now, not sure whether to share this with you or not but curiosity has won out & I just want to know your thoughts and if anything like this has happened to any of you out there. We all know the importance of waking early and starting the day the right way – creating a morning routine that sets the tone for an extraordinary day ahead but really, I was still stumped on the hows, the why, the whats and when. Eventually, I came across this amazing book which albeit has a somewhat sales pitch-esc approach in some chapters but enough enthusiasm, information and inspiration to allow me to fully grasp how best to TAKE ACTION, get my life on track and let go of this feeling of mediocrity I’ve come to know and abhor. 2018/2019 Up & Coming Books I NEED NEED NEED + Can’t Come Quick Enough. What’s This Thing Called Gratitude + Why You Should Probably Look at Doing It. Gratitude & Five Things I’m Grateful For Today – In Case You’re Stuck. 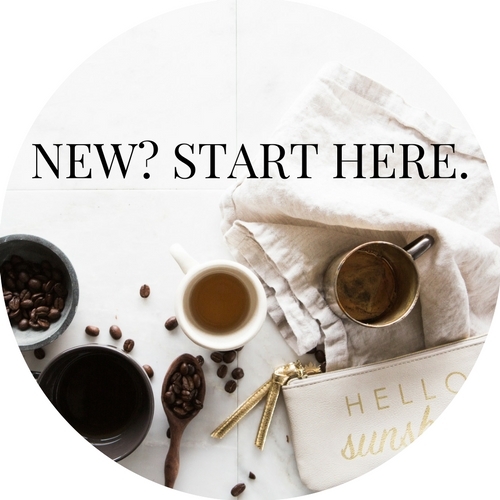 Some of the links mentioned in my posts contain affiliate links so if you subscribe or purchase something after clicking said links, I might earn coffee monies and I’ll be forever grateful because >>> coffee! Rest assured though, I promise that you will never see me post a link to a product or service that I haven’t used myself and that I haven’t loved completely!